Chinese human rights lawyer and proponent of non-violent civil disobedience Tang Jingling has been formally arrested under charges of “inciting subversion of state power,” said his wife, Wang Yanfang, in a Saturday post on China’s popular social media, Weibo. Tang, one of the founders of the New Citizen’s Movement, has been in detention since May 16, when he was taken away and detained under broad charges of “starting quarrels and provoking trouble.” Wang said that the police confiscated two computers, three cell phones, and a camera during the raid. Two of Tang’s colleagues, rights activists Yuan Xinting and Wang Qingying, also active proponents of non-violent civil disobedience, were also detained. All three, called “the three gentlemen in Guangzhou” by Chinese activists, have been detained in Baiyun District of Guangzhou City, in southern China’s Guangdong Province. All were caught up in a general sweep of activist detentions prior to the Communist Party’s (CCP) sensitive date of June 4, the anniversary of the Tiananmen Square massacre. Tang’s dream is “to promote non-violent civil disobedience movement, and to bring democracy and freedom to China,” said his wife in a recent article on her Weibo post. Wang, a former instructor at Guangdong University of Technology, and Yuan, a former editor of Guangzhou Publishing House, were also formally charged with subversion on June 20. Both have worked to promote an independent legal system, freedom of association and the elimination of one-party rule. Tang lost his license to practice law in 2006 for defending villagers combating corruption, victims of counterfeit medicine and vaccinations, uncompensated victims of land grabs, and rights defenders who had been detained. Since disbarment, Tang has become one of the leading proponents of non-violent civil disobedience in China, urged China to ratify the UN Covenant on Civil Rights, and been energetic in promoting other high profile civil and human rights causes. 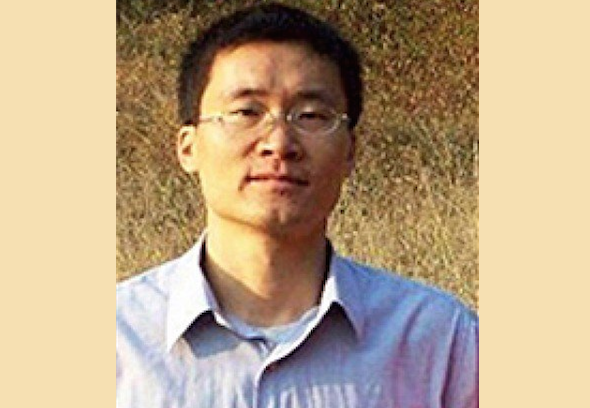 Before Tang’s formal arrest, his lawyer Liu Zhengqing was able to visit him twice in the detention center, where he was told that Tang’s detention was mainly due to his activities in promoting civil disobedience. Council Paul Ryan Baldwin at the U.S. Consulate in Guangzhou has expressed concern about Tang’s case, meeting with Tang’s wife and lawyer on June 16. “The police don’t care if there’s evidence, nor do they care if what you do is legal or not. They just arrest you when they want to. They just persecute you,” Tang’s lawyer Liu told Radio Free Asia (RFA). Now, because Tang’s case involves state secrets, his lawyer has been denied visitation, said RFA. As a Christian, Tang has supported the spiritual group Falun Gong, which has been persecuted by the authorities since 1999. “I believe that the peaceful and persistent protests for over 10 years against the persecution of Falun Gong has greatly helped Chinese people to develop the importance of freedom of belief in their hearts,” Tang said in an interview with Sound of Hope, a radio station run from outside China.